How much of what you are doing is directly tied to the spare time that you have? Those precious few minutes that you find amidst the chaos of the millions of other things that you have to do. 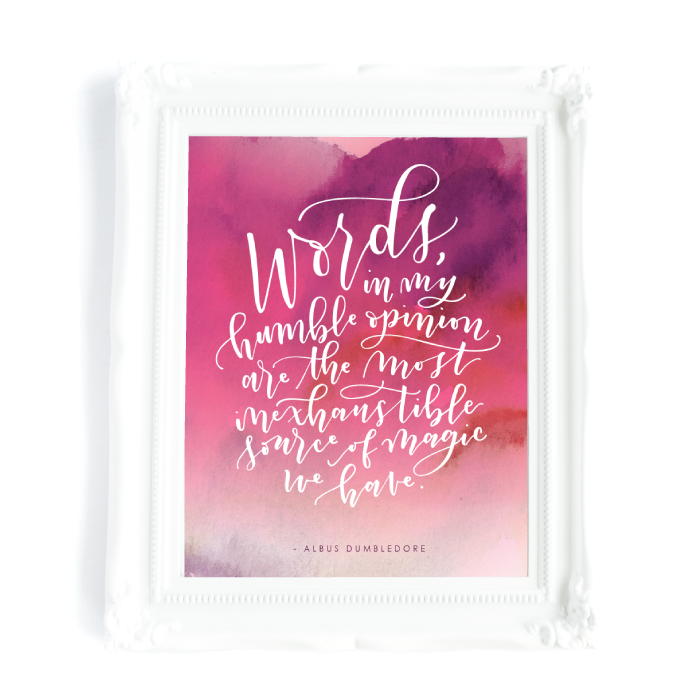 And what if, in those precious few minutes, you are trying to build a business… and even more specifically, a hand lettering business? Well, honestly, it’s impossible… for one reason only. You can’t scale your time. You are stuck with exactly the amount of time you’ve got and all you can produce (which means all that you can earn) is directly tied to that time. But what if I told you that, without having to find more time, you could scale up your business, produce better products, a wider variety of products and even make money in your sleep (it’s like a dream, isn’t it?!)? Well, you might hit me and call me a liar, but just hold off on that for a minute and hear me out. I looked back in my account books and saw how my last year progressed. At the beginning of the year, I was creating all original pieces. Without even considering being paid for my time (oh man, this is embarrassing), I was actually losing money. I was spending more on supplies than I was actually earning! Do you know why my supply costs were so high? It was because I wasn’t just writing out a piece once or twice to get it right, but I would go through pages upon pages of expensive paper and wear out my pens because I wanted the original I was producing to look exactly like the image that I had up on my online shop. And don’t even get me started on how much money I lost if I think about the time that I put into making those pieces as well! Thankfully the story gets happier! There is one point in my books that directly correlates with one big, huge, game changing shift that I made. At one point, I started to digitize my work… and that was exactly when I got out of the red and moved into the black! Why did digitizing have such a big impact? Because it was no longer tied to me actively being at work producing! I could digitize something and then sell it as a print over and over again. I could digitize a design and sell it on mugs or shirts or as a decal. I could digitize something and literally sell it while I was asleep!!! My mind was blown by the change and I haven’t looked back!! I created Digitize Your Designs because I want to be able to share this game changing skill with you, because digitizing isn’t just something that you can pick up with a few YouTube videos or reading a blog post here and there. You need to know when to digitize and when you shouldn’t waste your time (because we both know that there is probably a meal that needs cooking or a pile of laundry somewhere that, if it doesn’t get folded soon, will have so much dust on it that you’ll have to wash it again). There are also specific things you have to do before you even start the digitization process. And then you need to learn the tools – I’m talking Adobe Photoshop and Adobe Illustrator (though I also want to show you some awesome, super huge timesaving tips with Adobe Bridge as well!). Now these are HUGE tools that can do so much, but I won’t overwhelm you with all of the possibilities. In Digitize Your Designs, I focus on teaching you the specific Photoshop and Illustrator tools that you need to make killer designs and crisp clean vector images. So, there it is, I just threw out the “v” word… VECTOR. I’m going to be honest with you, I get scared when some technical term that I know nothing about comes up and usually that’s when I click away from the page. But don’t leave me here because vectors are actually the holy grail of digitization. They are perfect crisp, clear images that you can create to be infinitely scaled, totally transformed and will never pixelate or look bad. When you print them, they’re perfect. If you send them to a company for use on a product, they look great every time. When you want to scale up your business, creating vectors is a must. And I will show you step by step exactly how to do it… easily! Here’s where the rubber meets the road (or the cookies meet the tray) and you have to ask yourself if you are ready to take your business and your skills to the next level. If you are, then this is 100% the place for you. Learn everything there is to know about taking your work from handwriting on paper to digital designs with unlimited possibilities. Let me start by telling you that you don’t need to have ANY experience with digitizing or using Adobe Photoshop or Illustrator. Through this course I will take you from no experience to knowing exactly which tools you should use in which program and when. There will be no more wasting time trying to piece together tutorials on YouTube, learn from people who speak about technology like it’s another language or spend money on a program that you can’t figure out by yourself. No one has time or money to waste like that!! By the time that you complete the course, you will be able to rock the process of taking hand drawn elements and turning them into perfect digital files without any fear of the digitization process. You will be able to make informed decisions about when, where and how to digitize... and you'll also know exactly what to do to make sure that digitization goes as smoothly as possible. Some lettering needs a touch of Photoshop magic to make it sing. Discover exactly what you can do to make your lettering even more amazing and how to merge it with a background photo to create the perfect lettering image. Vectors are magic. They allow your lettering to be as big or small as you want it without any distortion or pixelation. And the design options... Once you can create a clean vector, the possibilities are endless! I created Digitize Your Designs because I want to be able to share this game changing skill with you. Digitizing isn’t just something that you can pick up with a few YouTube videos or reading a blog post here and there. You need to know when to digitize and when you shouldn’t waste your time (because we both know that there is probably a meal that needs cooking or a pile of laundry somewhere that, if it doesn’t get folded soon, will have so much dust on it that you’ll have to wash it again). There are also specific things you have to do before you even start the digitization process. And then you need to learn the tools – I’m talking Adobe Photoshop and Adobe Illustrator (though I also want to show you some awesome, super huge timesaving tips with Adobe Bridge as well!). Now these are HUGE tools that can do so much, but I won’t overwhelm you with all of the possibilities. In Digitize Your Designs, I focus on teaching you specifically the tools in Photoshop and Illustrator that you need to make killer designs and crisp clean vector images (but don’t worry, I also do show you some serious bells and whistles as well!). Here’s the real question – do you want to have a successful business in a store, on Etsy, on the web or in your own design career? 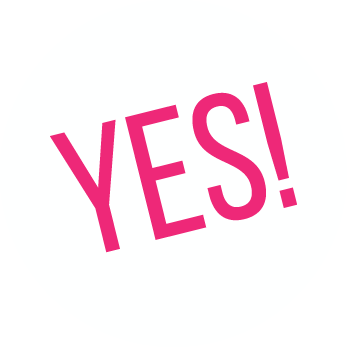 If you said heck yes to any of those, then this course is absolutely for you! It’s time for you to scale up your skills and do big things! You can work through the course at your own pace on your own time. You have unlimited access to the course and everything that goes along with it so you can always revisit a section or take extra time to practice. I’m going to be honest and up front with you – there are homework assignments at the end of many of the lessons. But these homework assignments aren’t time wasters. You will actually be using your own designs for your homework so that, by doing the assignments, you will create your first totally unique, completely original (and completely saleable) digital designs. the ability to digitize like a pro! 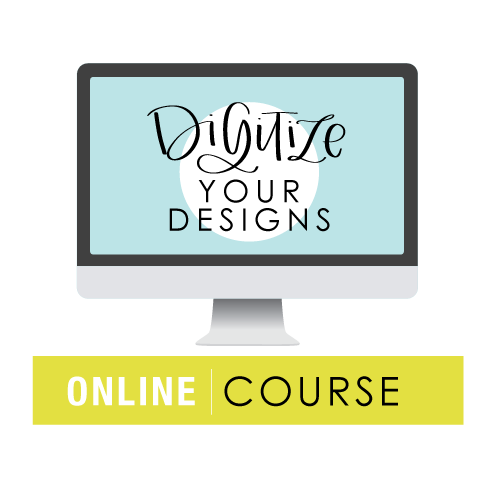 "I'm almost finished the Digitize Your Designs course and I would highly recommend it. It's a lot of material, especially for a beginner, but Amanda teaches in a way that's very easy to understand and she goes slowly and explains everything along the way. The skills you pick up will save you from redoing your lettering a bazillion times with pen and paper." 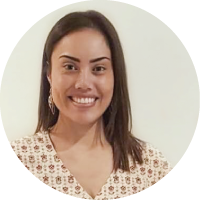 "I was so hesitant to sign up for Digitize Your Designs because I had taken another online course on digitizing which was all of 15 minutes and cost something like $10. I was thinking, how much more could Amanda offer that would justify me spending $197? Well, I took the plunge and let me tell you... OH MY GOSH!!! This course is worth every single penny and more. It is so content right and contains so much more information than just digitizing. I finally (FINALLY) am getting the hand of Illustrator's pen tool thanks to Amanda. It has been the bane of my existence for quite some time. If you're hesitant about signing up for it, I promise you won't be disappointed." "I have been sketching and digitizing up a storm... now getting to the fun part of creating final pieces to send to the printer for my soon-to-be launched shop. Thank you Amanda for such a great and inspiring course. I have wanted to do this for years and your course gave me the kick in the pants I needed to dive in." What computer programs do I need to take this class? We use Adobe Bridge (a free download), Adobe Photoshop and Adobe Illustrator in the course. Photoshop and Illustrator both cost money but you can sign up for a free 30-day trial of the programs. But beware, I signed up for the trials and, 5 years later, I'm paying for them each month. But it's so worth it! How is this different than using an iPad pro? The iPad programs are different in two ways. First of all, the digital tools don't accurately convey the nuances of ink and paper in the same way that real tools do. Secondly, and most importantly, Adobe Illustrator creates vectors which can be scaled up or down as large or small as you want without any pixelation or warping or loss of detail. This means that something you create in a 3 inch square, once vectorized, will also look awesome as a 3 foot square. This removes so many limits that you are otherwise restricted by. You have as long as you need! Once you register in the course, you have the ability to watch the videos on your own time, practice on your own schedule and create stunning final products that will enable you to move beyond basic pieces for your social media account. "I'm loving Digitize Your Designs! You teach in such a way that is easy to follow. The expression in your voice makes it seem like you're having an actual person-to-person conversation with us; and your instructions to follow along in Photoshop and Illustrator are fantastic!" The course will open up worlds that you didn’t even know existed and allow you to branch into so many areas that might have previously been closed off to you. Need an awesome, eye-catching (scroll-stopping) Instagram image? Now you can create one. Want to make a completely perfect logo that can be used anywhere? You’re on it! Do you want to get your blog or portfolio out there? You can create perfect Pinterest worth designs that will get you, and your work, the attention that you totally deserve! The possibilities (and profitabilities) will be endless! !